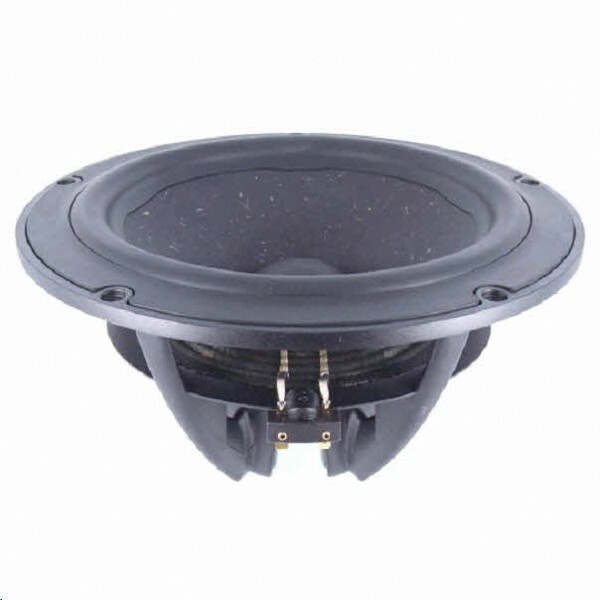 Peerless Vifa NE225W-04 SubWoofer Speaker is a state of the art NE Range 51.3mm Titanium voice coil 8" 4 ohm midrange or full range drive unit featuring a coated natural wood fibre pentacone technology cone, with a butyl rubber surround giving exceptional and extended linear response. A product datasheet can be downloaded from the Product Description page. FREE UK DELIVERY. Neodymium-Iron-Boron magnet, copper caps for extended frequency and low distortion with reduced inductance, finished with an innovative Aluminum basket that minimises acoustic reflections through sculpted basket spokes and large basket windows. This also acts as a close-coupled heat sink for high power handling and additional cooling. An additional heat sink is available for High Power handling applications. A product datasheet can be downloaded by clicking on the .pdf logo.